Predating Selkirk’s abandonment by twenty years, a “Meskito Indian” native from what is now Panama was similarly stranded on one of the island Más a Tierra, part of the Juan Fernandez Islands and later renamed Robinson Crusoe Island. The native American, named Will, was left on the island after the English ship he was serving on was chased away by the Spanish. As described by William Dampier, an English circumnavigator and explorer of Australia, Will had survived on the island for three years before the English expedition returned and rescued him. Dampier would later command a ship that was part of the English expedition that resulted in Selkirk’s stranding. Dampier also served as the sailing master aboard Woodes Rogers’ ship Duke when Selkirk was rescued. 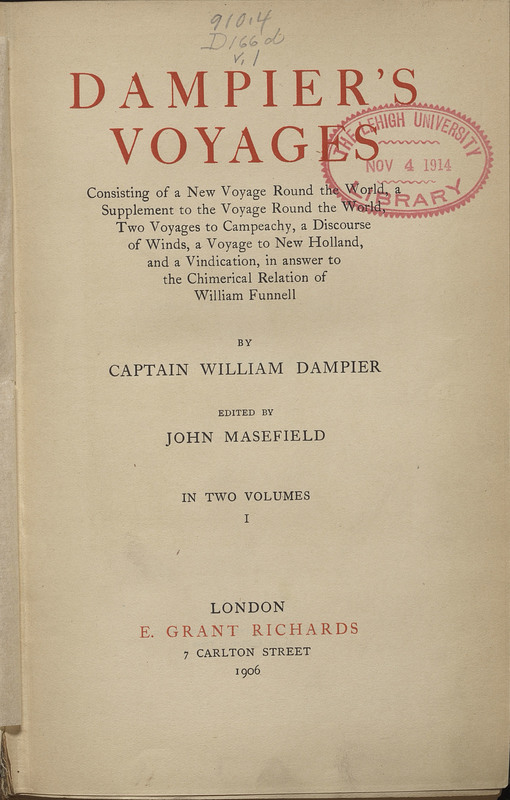 Dampier's Voyages; Consisting of a New Voyage Round the World, a Supplement to the Voyage Round the World, Two Voyages to Campeachy, a Discourse of Winds, a Voyage to New Holland, and a Vindication, in Answer to the Chimerical Relation of William Funnel. London: E. Grant Richards, 1906.